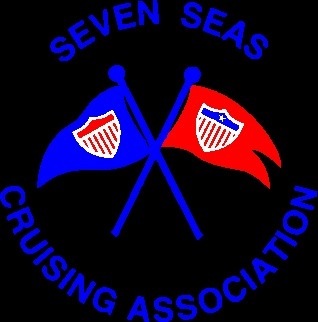 We got back from the SSCA (Seven Seas Cruising Association) GAM in Melbourne, FL yesterday evening after seeing my parents on the way home. 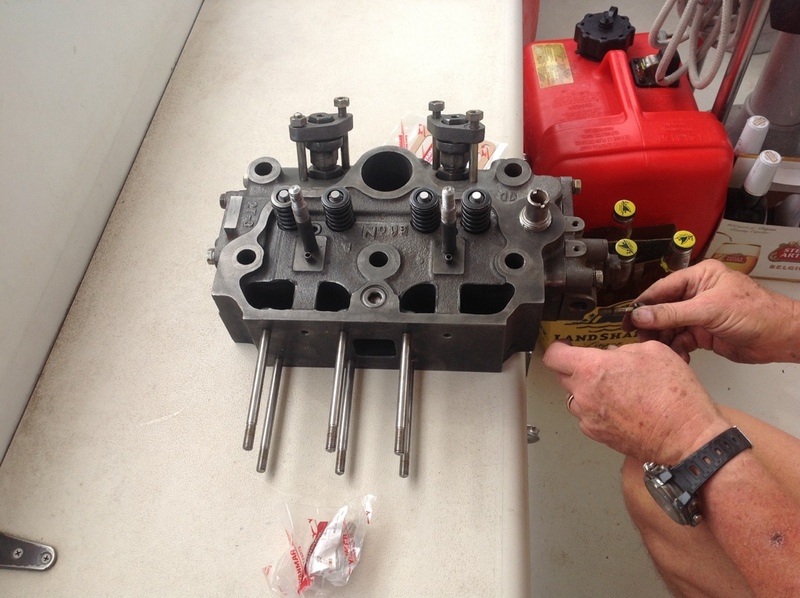 Today was the day for Phil to get parts for the engine and be driven up to Jacksonville, FL to pick up the completed head after the some of the parts he got were installed. A BIG thank you goes out to Harold on SY Ghost III for driving him! While he was gone I washed the mold off the ceiling (which are the sides of the boat on the inside -go figure) which has been long on my to do list. I used vinegar and some Murphy’s Oil soap in the water hoping the combo would work well to get rid of the mold and prevent it from returning. We’re supposed to get some rain so decided now was a good time while it had a chance to dry well even though it’s been VERY humid today, which has been unusual when I think about it. The fan helped it dry well. I’m glad that job is over and hope that I don’t have to repeat it for a while. So far so good. Back to the engine: Phil got back about 1pm after being delayed getting more parts he didn’t know about until after he picked up the engine head. Isn’t that they way it goes with projects? It looks very clean and nice if I say so myself. While Phil had the boat torn apart working on the engine, I took some Sunbrella and cut out winch covers for Larry and cut out a Cadet Grey and 2 Mediterranean Blue colored Honda 2000i generator covers. I sold both the pacific blue covers at the Nautical flea market yesterday. Yeah! Hope that other colors will also sell! I really should sew the zipper again for the Dodger Window. The thread has come out and I should sew some a Sunbrella to cover the zipper to protect it from the tropical sun. I also need to sew in a zipper door on the Port side window. I’ll see what I can do in the next couple days. I wish there was someplace inside that I could work. It started to rain a little bit, so closed up shop on the canvas project and started a load of clothes. Where I could wait inside if it really started raining. While waiting there on an outside bench at the Marina, a scruffy looking older man with long hair, no lower teeth and alcohol on his breath sat down next to me. I had the hardest time understanding him, but could understand when he asked if he could buy cigarettes off me. “No I don’t have any.” I felt really uncomfortable as other people weren’t around, so excused myself and went to check on the dryer inside the locked building. The clothes were dry and then I met Carol who arrived today on their boat. She was also there when the man was and went inside too. We got to talking about the usual: where are you from? (Solomons, MD) how long are your staying? (Flying back tomorrow for family emergency) Where are you going? Came down the ICW with another boat who is having engine trouble to stay here for the winter. We got to talking about the SSCA gam and she mentioned that Mike and Pollie Romey, her best friend, had been here on their way back from the GAM. “What’s their boat name? SV Chinook. WAIT. I know them and proceeded to tell the story of how we met in Georgetown, Bahamas. It’s a small world, especially in the cruising community! Too bad I didn’t recognize them at the GAM as we didn’t get the chance to see them when we were in Reedville, VA. When I got back with the folded clothes the bilge pump was running. I learned that the engine started, BUT now there is water leaking at a good rate from a plate on the head. Seems like there is a plug that’s suppose to be in that isn’t. Phil will take another look tomorrow to fix it. The good news is the engine started and the noise was gone! Another project is to replace the transmission cable that enables us to shift into forward, neutral and reverse. It’s been stiff for a long time but has been worse lately. Phil found a replacement in the West Marine Catalog, so will have to order it. Good thing there is a West Marine about half a mile walk away. Another boat is having Yanmar engine problems that pulled in across the dock. 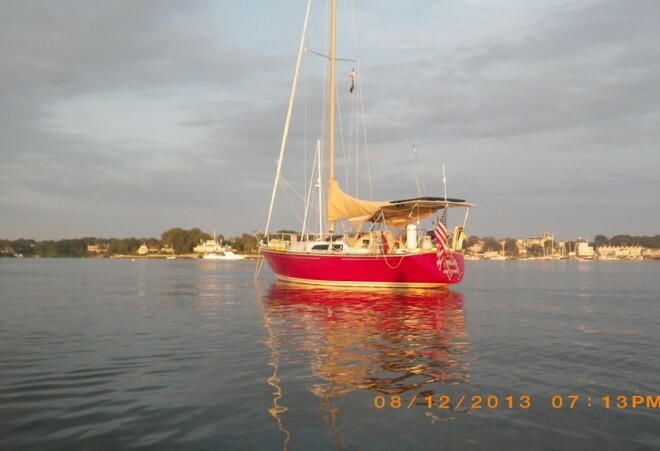 Phil had lots of marine service companies he contacted so I created a e-note so we can easily find them in the future and emailed it to the captain of the boat with engine problems. He was appreciative of having the information and will contact Bo from First Mate Yacht Services just like Phil did. I really love my iPad! After very much welcomed hot showers, we had leftover brats, cabbage and potatoes and relaxed for the evening. I have been so far behind posting, that I thought I ‘d better write NOW about the engine. Thanks for hanging in there for the next post. There are high winds predicted for the next couple days and temps in the 60’s. So I’m glad that we will be here through Wednesday and hope to leave Thursday for moving south via the ICW. We may have a chance to go on the Atlantic, but then have to worry about if the Ponce de Leon inlet is safe to go into. Fort Pierce Inlet is safe but south of Vero Beach. We’ve been busy with projects but feel like moving further south again. The weather will improve starting Thursday for three days and we hope to be in Vero Beach for Thanksgiving, which is 4 travel days away. We heard from our buddy boat friend Judy tonight. They have a transmission leak and will be staying put for the next couple days d/t the same winds and to get it fixed. They hope to go to Vero Beach too for Thanksgiving. I have joined a closed group on FB called Women Who Sail (WWS) which has been great for support and meeting. New people. We met another couple women at the GAM so may see them in Vero Beach too. Meeting new friends has been very helpful socially wise. Thanks. Same to you. What are your Thanksgiving plans? We hope to get to Vero Beach. the Bahamas.I’ve been in the Florida ports with Allan Cragg. Thanks Bill. Phil put on the control cable for shifting gears today. Works like buttah and will be a pleasure to use now. I’m so glad it’s fixed.